Transistors are building blocks of electronic appliances, and can be found in radios, computers, and calculators, to name a few. 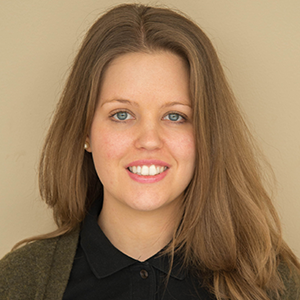 When working with electrical systems you typically have to deal with heat transfer; electric heating is often an unwanted result of current conduction. Is a heat sink mounting necessary to keep the transistor cool, or can it manage without? Let’s have a look at power transistors from a heat transfer perspective. Transistors are semiconductor devices used to switch or amplify electronic signals. There are different types of transistors, ranging in size depending on how they are packaged. Power transistors carry and dissipate more power and therefore come in larger packages. These packages can be attached to a heat sink for better cooling and to avoid overheating of the system. You will most commonly find transistors in integrated circuit boards (as seen in the images below), although they can be packaged individually as well. Model geometry of a power transistor mounted to a circuit board using through-hole technology. The tin and lead solder in the holes provide mechanical support and electronic contact between the copper routes and transistor pins. The circuit board is made of FR4, a common circuit board material. As I mentioned above, power transistors can be attached to a heat sink to dissipate the heat. The heat sink would then be attached to the transistor via the copper plate located behind the ceramic piece (shown above to the left). While it’s often important to construct a way to cool electronic systems, such as in the case of components in hybrid cars, each system has its own acceptable operating temperature range. What determines the maximum and minimum temperature limits include the semiconductor material properties, the transistor type, the design of the device, and so forth. There is a conventional temperature range, however, which is thought to be between -55°C and 125°C. 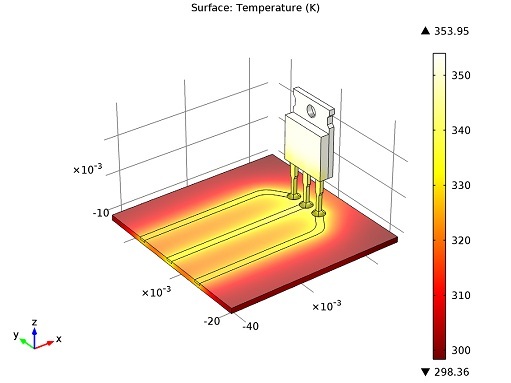 When modeling the power transistor with COMSOL Multiphysics and the Heat Transfer Module, you can see the temperature distribution in the device. The max temperature, as you can see below, is right below 354 Kelvin. That’s about 81°C, and well within the acceptable temperature range for the transistor. In other words: it’s not necessary to attach this particular transistor to a heat sink. Temperature distribution of the power transistor in degrees Kelvin. Also worth noting is that electric heating, or Joule heating as it is also referred to, hardly influences the temperature of the copper routes at the distance from the transistor modeled above. 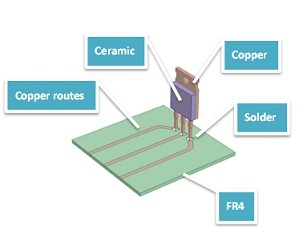 That’s most likely due to copper’s high conductivity; some of the heat produced in the transistor chip is conducted away from the device via the copper routes. 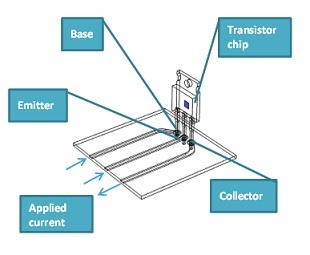 Learn more about the Power Transistor model in the Model Gallery.